Sports is something that kids should be engaging too. We are talking about various types of sports, not only baseball with the little league bats, or basketball with the school’s varsity team. You can actually enjoy sports with cars too, even if you are driving an automatic sports car. 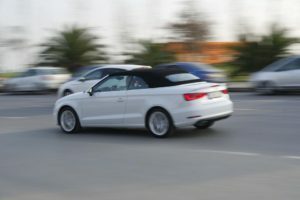 In this post, we are going to talk about ways on how to speed up an automatic car to have fun on the speed way. You can have fun with an automatic. Just because you have an automatic car does not mean that you can’t have fun on the road or at the drag strip. Well, it’s not as difficult to launch as a manual race car of course. There are some tips that you can use to get off the line as quickly as possible. The first step is to activate sport mode, for example if you are using an E93 BMW 3-series just push the lever while you are in drive, over to the left. If your automatic vehicle doesn’t have the lever, you don’t have to worry about this step. However, for most vehicles it heightens the throttle response and some even tightens the suspension for a better take away. Next and most importantly you turn off the traction control. In most modern cars, save for the exotics. Turning off the traction control is going to help you launch quicker to that in E93 BMW 3-series, you just press the DTC button and hold it for about 10 seconds and you get an indicator, showing a little triangle with an exclamation point. Many cars are different but this is key. Next you’re gonna place your left foot on the brake firmly and rest your right foot on the gas. Most automatic cars will limit the revs to about 1500 or 2000 when you have your foot on the brake. You can’t rev it to 4000 RPMS and dump the clutch like you can on a manual vehicle or a car with launch control but that’s to protect your engine. So, with your left foot on the brake rev it up to 1500 RPMS and when the third yellow light goes at the drag strip on the Christmas Tree release the rake on your left foot and floor the gas. This entry was posted in Sports and tagged automatic cars, car race, drag race, street race. Bookmark the permalink.